Aine Collection…. Aine (pronounced “on-yah” or “awn-yah”) is the Celtic Goddess of love also known as The Queen of Fairies. She is worshiped for her power to bestow fertility, abundance and prosperity. Our Celtic Knot Diamond Ring is absolutely stunning with it’s rose gold plating. Fashioned with a beautiful square framed diamond setting accented with intricate milgrain detail gives it an heirloom appeal. 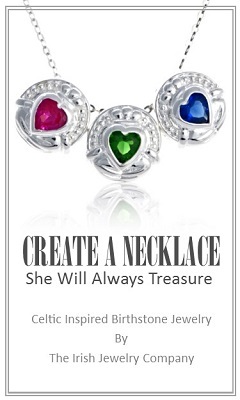 Pledge your love with this elegant and colorful Celtic promise ring. Celtic knots are also known as endless knots have no beginning or end. This diamond Celtic knot ring symbolizes the eternal bond between the union of a man and woman. Celtic Knot Diamond Ring is sterling silver. The beautiful Celtic Knot Ring has rhoduim and rose gold plated. 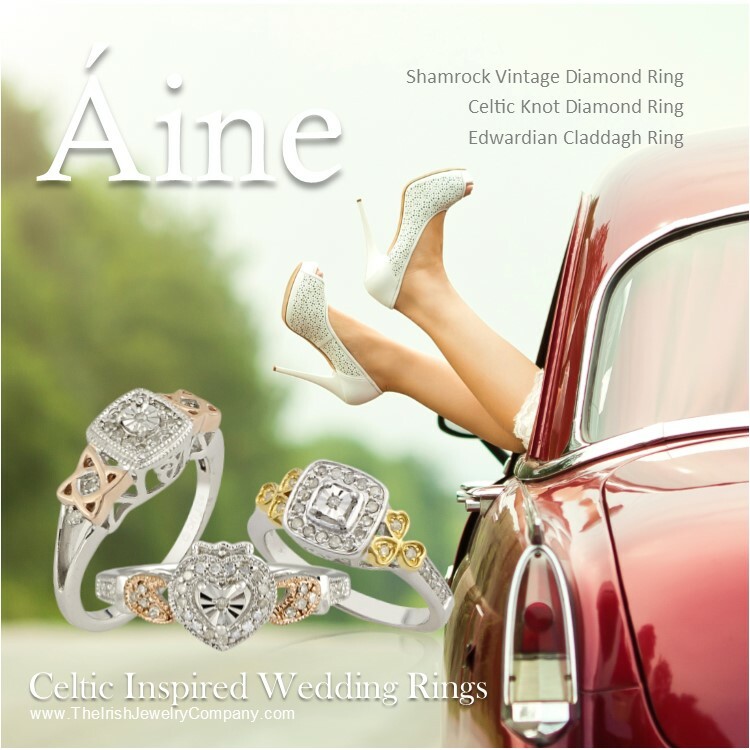 The Celtic Knot Diamond Ring has an 1/10 ct. tw. of diamonds. This Celtic Trinity Diamond Bridal Set is as beautiful and captivating. 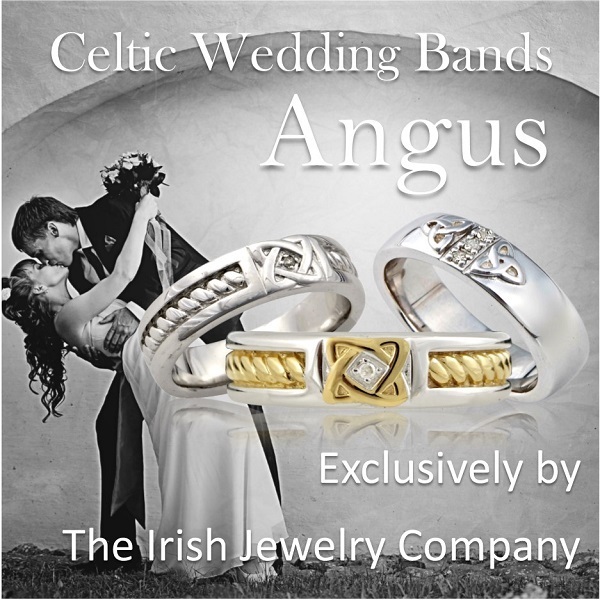 Express your love and honor your heritage with this true Celtic bridal set. The Celtic engagement ring has a round cluster setting that shimmers with diamonds and is accented with trinity knots on either side. The matching band has coordinating trinity knots and diamonds. Trinity knots are the Irish love knot. This Celtic wedding ring set edged in milgrain for an heirloom look will take your loves breathe away. Celtic Trinity Diamond Bridal Set is sterling silver and has a satin finish. This Celtic Bridal Set is rhoduim plated 2pc bridal ring set. Each ring measures approximately 4mm wide. 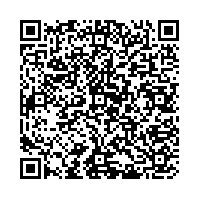 The Celtic Engagement Ring has an 1/8 ct. tw. of diamonds. Our Vintage Diamond Shamrock Ring sparkles in diamonds with delicate milgrain work creating heirloom appeal. This beautiful shamrock vintage diamond ring is a symbol of Irish craftsmanship and honors Irish heritage. The shamrock is the renowned symbol of Ireland. This lovely vintage style Irish ring with 1/5 ct. tw. of diamonds can be worn as a right hand ring, promise ring or even as an engagement ring. Vintage Diamond Shamrock Ring is sterling silver. Rhoduim and yellow gold plated. The Shamrock Vintage Diamond Ring has an 1/5 ct. tw. of diamonds. This captivating Celtic Weave Diamond Bridal Set will honor your brides Celtic heritage. This clever woven Celtic knot engagement ring features a square diamond cluster setting flanked by trinity knots. Trinity knots are the Irish love knot. On your wedding day stack it with the coordinating Celtic woven band that fits snugly next to it. Celtic Weave Diamond Bridal Set is sterling silver. It is rhoduim plated 2pc bridal ring set. The Celtic Weave Diamond Engagement Ring has an 1/20 ct. tw. of diamonds. Our Irish Diamond Promise Ring is the ultimate symbol of Irish love. The two hearts are interlocked in loves embrace flanked with trinity knots on each side. The trinity knot is considered an Irish love knot. 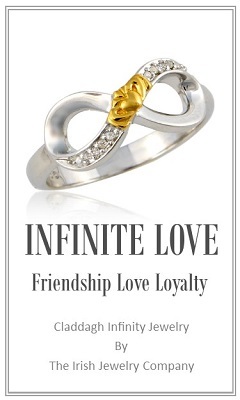 An Irish promise or “poesy” ring is given to symbolize love, faith and commitment. A promise ring is usually worn on the ring finger of the left hand. 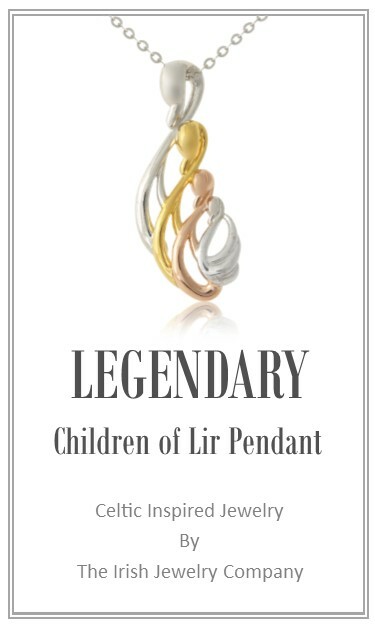 This Irish promise ring or “poesy ring” is truly a tribute to the expressive and passionate Irish spirit. So pledge your love the Irish way! Promise Ring Tradition…The tradition of the promise ring or poesy ring began around the 16th and 17th century in England and Europe. A “posie” was a common short poem or inscription on a piece of jewelry. A ring inscribed with a sentiment of love, faith and hope became known as a “posey ring“. The poesy ring gained immense popularity due to it’s numerous mentions in Shakespeare’s plays. Our Irish Diamond Promise Ring is sterling silver with rhodium plating. It has two prong set round diamond accents.